Haha Thai was previously Hahaha Thai Seafood that was situated at Foch Road. 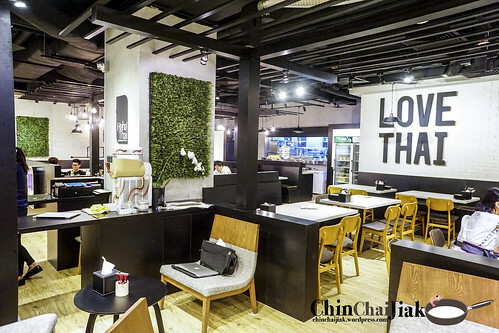 They had rebranded themselves and moved to Ngee Ann City with a soft opening on 1 April 2015. Thank you Serena and Terence from Haha Thai for hosting us. Unlike most Thai restaurants that go for a traditional Thai style design, Haha Thai went for a very modern cafe look, probably to attract the younger crowd. The price of their food ranges from $4.80 to $49.80. A plate of Pad Thai and bowl of Tom Yum soup cost $10.80 and $9.80 respectively while the pork knuckle and salt baked sea bass cost $38.80 and $49.80. The total cost of the bill can varies quite a lot, depending on what you order. 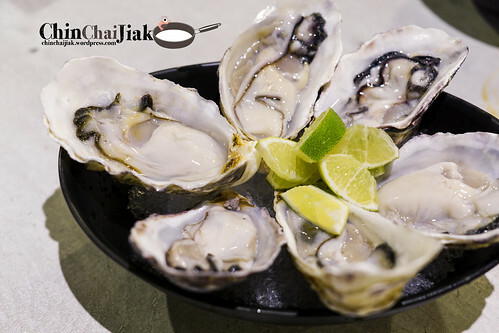 These so-call Thai Oysters are actually air-flown from Japan and to eat it the Thai way, remember to eat it with their Thai style chilli. Their oysters are very fresh, thick and fat and juicy. The chunky texture of the Oyster is the best part of it. As for the chilli, i thought their chef is quite something to come out with a blend that goes so well with the Oyster. It’s like a 60% sour, 30% spicy and 10% sweet and exceptionally tangy should be the best way to describe the chilli. Instead of normal size prawn, Haha Thai uses big tiger prawn. 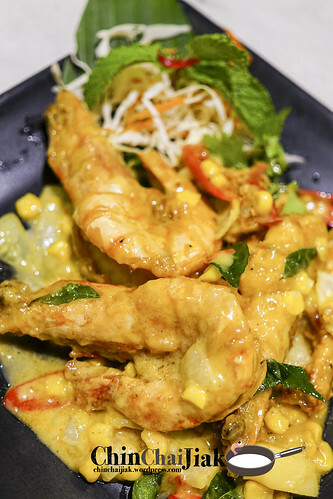 These prawns are lightly fried, such that the shell gives off a delightful flavour, and are stir fried in a thick and creamy butter sauce. 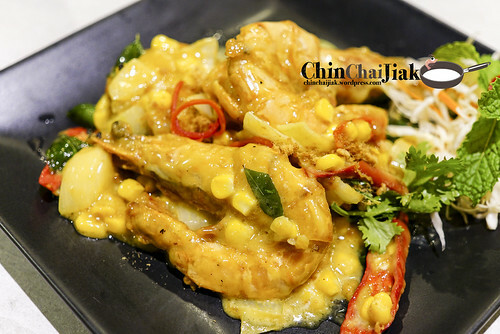 It’s almost similar to a salted egg prawn sauce but not as salty and with added sweet corn. The texture of the prawn is bouncy and the meat is very sweet. The only complain is instead of three, four prawn should make it easier to share. It also adds up to $6.27++ per prawn. Haha Thai’s Tom Yum soup did very well in the sour aspect and lacks a little on the spicy aspect but i still find the soup enjoyable. This soup has all the sweetness from the seafood and manage to eliminate the unpleasent odour associated with it. It probably has something to do with the freshness of the ingredient. The soup packs a punch, with just the right balance of lemon grass flavour and sweetness. For a spicy food lover like me, an even spicier version would be great and will increase the “shiok” factor. This dessert is Haha Thai’s proud creation, whereby the espresso is replaced by Haha Thai’s signature Thai milk tea. This dessert is layered with a blend of cream and mascarpone cheese and biscuit soaked in sweetened Thai Milk Tea. 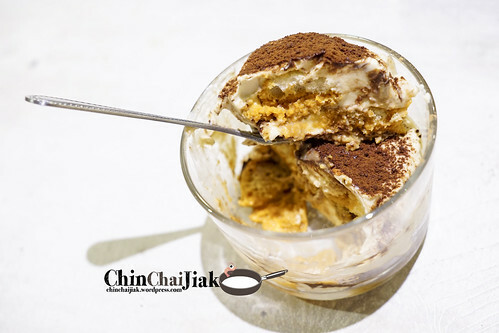 Comparing to a traditional Tiramisu, this version is expectedly sweeter but the tea fragrance is not lacking comparing to the espresso version. At $9.80++, i consider the portion is a little small. The ice cream and the Mango is good and I like the way it’s skillfully presented. 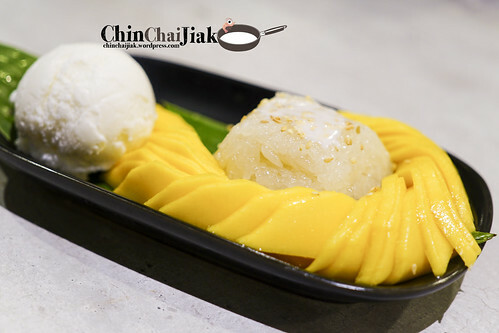 Instead of savoury, the sticky rice is actually sweetened, which i don’t really favour since the ice cream and Mango already took care of the sweet portion. The Otah is actually very good, with chunky bits of fish mix in a spice-infused mackerel paste. If not for the price, it would had been in my favorite list. For the price of $8.80++, people may expect the portion to be a little bigger. 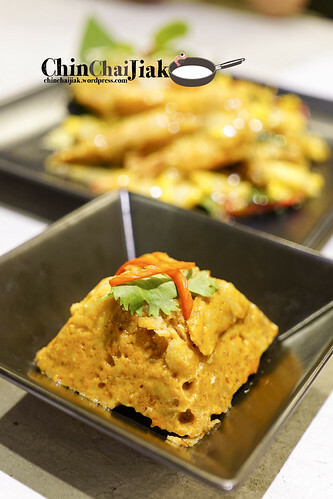 At $49.80, this dish is the most expensive item on Haha Thai’s menu. I was actually expecting a lot from this dish however I thought the dish is only okay. i thought it lacks the expected fragrance from baking. 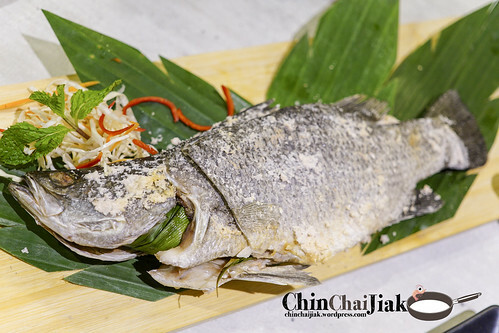 As for the fish meat, it’s done properly and well cooked, but it didn’t give people enough reasons to fork out $58.00 for this fish. I can’t seem to find information about this Thai Bak Mee from online but apparently this is like a special creation by the chef. The fragrance is something like our Singapore version of Char Kway Teow, just that it’s not as sweet and a bit more salty. There is a unique fragrance coming from the noodle but i can’t really tell what was it. The chef actually kept the content of the sauce as secret and is only willing to disclose one ingredient, which is tumeric. 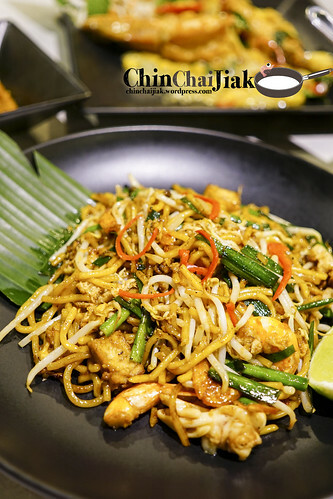 It’s a pretty interesting option to try instead of the usual Pad Thai. 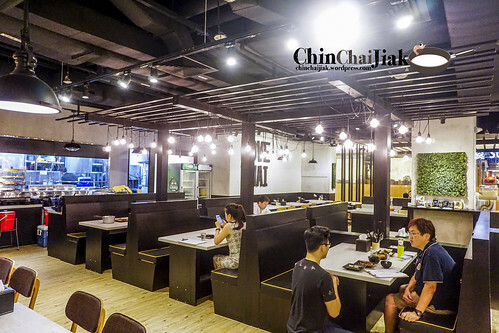 The general impression of a restaurant situated at high floor at Ngee Ann City must be expensive and taste so-so. Apparently Haha Thai is serving some good dishes like the Oysters, Tom Yum Soup, Bak Mee and Buttercorn Prawn and for most dishes, the price appears to be reasonable. However, there is a catch to it as I noticed that the portion of the food is generally smaller. Probably this is their formula to keep their price reasonable. If i’m crazily hungry, likely Haha Thai will not be my first choice for a meal. 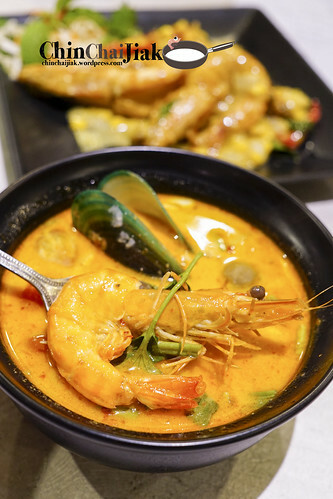 But if i’m still a little full and i dont feel like squeezing with the crowd and also want a decent meal, Haha Thai may be an option at Ngee Ann City.